A dog with allergies typically exhibits certain symptoms depending upon the type of allergy that’s causing the problem and can be similar to what people with allergies experience. According to WebMD Veterinary Reference from ASPCA Virtual Pet Behaviorist, the immune systems in dogs work in a similar manner to those of humans so the same type of medical problems may arise. When their immune system recognizes allergens as dangerous they begin to show symptoms which may be mild or severe, depending on how sensitive the dog’s system is. Many people don’t have a reaction to common allergens in the environment, but those with compromised or sensitive immune systems may develop symptoms when exposed to these allergens. The same thing can happen to dogs; some don’t usually have problems with allergies, but symptoms can develop when allergens come in contact with the skin or are ingested or inhaled. According to Dr. Carolyn Quagliata the owner of City Pet Doctor, there are three primary causes of allergies in dogs. Her video explains the various type of allergies that dogs are prone to and offers advice to pet parents in determining if their dog has an allergy and how to treat it. Dog allergies can be the result of inflammation or a secondary bacterial or yeast infection. Any of these problems can be a serious source of pain and irritation for your dog and should be treated by a veterinarian. Your veterinarian will try to identify the cause of the allergy and prescribe treatment to block the reaction and relieve the dog’s discomfort. To determine the cause of the allergy, the veterinarian will need a detailed, chronological and medical history. After getting your dog’s medical history, the doctor will do a thorough examination. Blood work or other tests may be done to determine what is causing the symptoms. When a dog attempts to rid its body of the allergens that are causing a problem, symptoms may start and include skin rashes, crusty, dry patches, inflamed tissue, respiratory problems, or digestive issues. Bacterial or secondary yeast infections may cause loss of hair and crusty spots or scabs on the skin. Although allergies to cats are more common, some people are allergic to dogs. Dogs secrete certain proteins through urine, saliva, and dander. Ordinarily, the proteins are harmless unless a person’s immune system has a reaction to them. However, this doesn’t mean that a person will be allergic to every breed of dog since they have different types of dander. Pet hair isn’t an allergen but the dander can become trapped in it and this is what causes allergic reactions in people. Medications that can alleviate the allergy symptoms may include Leukotriene modifiers like Montelukast, antihistamines, over-the-counter nasal sprays, decongestants, and allergy shots. Allergies to one or more ingredients in dog food can make your dog feel listless, nauseous, and possibly have gastrointestinal issues. The dog may bite, lick. or scratch at areas of their body to relieve their discomfort. If they’re allergic to more than one ingredient, the discomfort will be worse. Either way, you should consult with your veterinarian. The difference between an allergy and food intolerance is that the allergy develops slowly. Food intolerance will usually cause an immediate reaction in your dog. They may vomit, develop diarrhea, or have gastrointestinal pain. The veterinarian may prescribe a medication for pain until the food is out of the dog’s system, and could be in the form of an injection. Oral or topical medications may be prescribed and your veterinarian may put your dog on a restricted diet to determine the cause of the allergy. Dust, mold, and pollen often cause atopic dermatitis or reactions in dogs. Atopic dermatitis symptoms include itchy, red, or swollen skin which may become cracked if not treated. Environmental allergies are usually seasonal so you may not observe the symptoms in your dog all the time. The most common areas affected by environmental reactions are the ears and paws, but you may notice that your dog has areas of red, irritated skin on the muzzle, between the toes, on the legs, or in the groin area. Scratching or biting the affected areas could result in a more serious, secondary infection so your dog should get treatment for any unusual skin irritations. Flea dermatitis can result when your dog is bitten by fleas. The allergic reaction can be particularly severe if the dog is allergic to the saliva from fleas. One of the most severe reactions is extreme itching which causes the dog to scratch and irritate their skin even more. Food allergies may cause dogs to scratch more and can cause gastrointestinal upsets. The dog may vomit, get diarrhea, or both. Severe allergic reactions to certain foods may include skin conditions like swelling in the face or hives. One of the most serious and potentially life-threatening reactions from certain foods can be anaphylaxis which is similar to the reaction humans get from peanuts. It can cause swelling of the throat or tongue, lightheadedness, shortness of breath, vomiting, and low blood pressure. Allergies can cause your dog to feel uncomfortable and even if they aren’t life-threatening, there is treatment available to relieve any discomfort. If your dog scratches or licks excessively, wheezes or sneezes a lot is experiencing hair loss or chews on part of their body, testing for dog allergies is recommended according to Patt Vet. On occasion, a dog may develop food allergies or allergies Most dogs develop allergies after the first year of life. Before dogs are a year old they’re exposed to allergens in the air that get into their bodies through the skin. Dogs with an optimal barrier in their skin are less likely to develop allergies than dogs with an abnormal skin barrier. Most dogs are allergic to more than one allergen. Intradermal skin and bloodwork are the primary ways to test for allergies. The veterinarian will test for allergies after examining the dog for fleas or mites, hyperthyroidism, or bacterial or fungal infections. If the veterinarian suspects a food allergy, the recommendation may be a hypoallergenic diet for 12 weeks. Antihistamines and corticosteroids are two of the anti-inflammatory drugs that can effectively block allergens. Anti-itch medications including a new one called Apoquel can block the itch response. Some dogs respond well to allergy injections given weekly to strengthen the immune system. Hyposensitization is very effective in at least half of the dogs who are treated and a significant number have fewer symptoms. Some dogs are like people and are allergic to certain foods. Protein-based diets and Omega-3 fatty acids can improve a dog’s response to taking antihistamines and steroids in many cases. Immune modulators were created to decrease itching, decrease the response to allergens, and keep them from scratching so much and irritating their skin when they’re exposed to substances that cause allergies. Shampoos are therapeutic and anti-inflammatory. 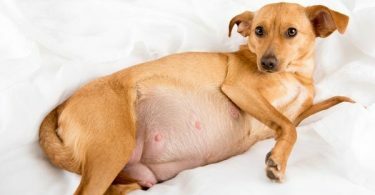 They’re designed to treat secondary bacterial and yeast infections that irritate the dog’s skin as well as removing dead skin cells. Dogs can have allergies due to environmental factors just like people do. Some of the most common environmental allergies are caused by pollen, dust in the air, animal dander, and mold spores. Dogs that develop environmental allergies usually start to exhibit symptoms between the ages of three months and six years. A chronic environmental allergy can be controlled with the proper treatment. The most effective ways of managing environmental allergies are to dust and vacuum frequently to get rid of dust mites. When the pollen count is high keep your dog inside as much as possible. Bathing your dog in an oatmeal or eucalyptus-based pet shampoo and cool water will help to alleviate itching and scratching. Frequent visits to the veterinarian every two to eight weeks are recommended. Flea bites are the most common cause of allergies in dogs according to Southeastern Guide Dogs but they are relatively easy to get rid of. Although topical medications can work they aren’t as effective when a dog frequently goes swimming or hs a bath. Oral medications are available from your veterinarian. Some pet lovers have the misfortune of being allergic to dogs. However, certain breeds have been developed over the years that aren’t entirely free of allergens but make it easier for allergy sufferers to be happy dog owners. Here are I Heart Dogs recommendations for the most hypoallergenic dog breeds. The Afghan Hound has a beautiful, long, silky coat. When you see an Afghan for the first time, you probably think they shed a lot. However, their coat sheds less than many other breeds which makes them an excellent choice for a dog lover who has allergies. 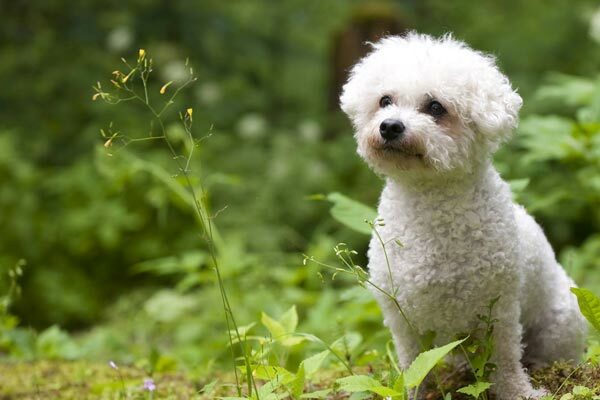 The Bichon Frisesoft has a coat that sheds next to nothing, making them an ideal little dog for anyone who wants to keep their allergies under control. Although they’re small dogs they have tremendous personalities. The Bichon Frise makes an excellent family dog especially when someone in the home has allergies. The Chinese Crested has very little hair and is valued as a hypoallergenic breed by many pet owners. The breed is unique and rarely sheds any hair so allergy sufferers love them. A dog lover who wants a large breed dog should take a look at the Giant Schnauzer. The dog has a coat that’s very wiry and is resistant to weather. Owners of the breed report a minimal amount of shedding. Since they’re high-energy, they do well with an active family who loves the outdoors. The Kerry Blue Terrier and the Soft Coated Wheaten Terrier have similar coats. The Kerry Blue makes an excellent addition to any family. Their coat sheds very little so they’re a wonderful choice for anyone who has allergies. The poodle has a reputation for not causing reactions in owners with allergies. The Labradoodle, a cross between a Labrador Retriever and a Poodle produces less dander than many other breeds, even though it has a long, curly coat. Maltese are small breed dogs with fur that has the consistency more like hair. The Maltese doesn’t shed very much, has an excellent temperament, and is a popular breed with people that have allergy problems. When President Barack Obama was looking for the perfect family dog that’s hypoallergenic, he chose a Portuguese Water Dog. This breed is known for being intelligent and easy to train. They’re one of the preferred breeds of people who suffer from allergies. Poodles have long been a favorite breed with dog owners who have allergies. whether the poodle is a standard or small size, they all have a coat that sheds a minimal amount. Poodles are very intelligent and easy to train. They make wonderful family pets. The Soft Coated Wheaton Terrier is another breed that has a coat that resembles hair more than fur. They’re one of the most hypoallergenic breeds since they shed very little. They are a pol[pular breed among owners with allergies since dander isn’t as much of an issue as with some other breeds, and they’re excellent companion animals. Veterinarians will tell dog owners that allergies are a condition that isn’t completely curable but with the proper treatment can be managed so the dog doesn’t suffer discomfort. The most effective treatment for allergies in dogs depends on the symptoms, how severe the symptoms are, and if the dog has any pre-existing medical problems that could be intensifying the symptoms. After diagnosis, dogs can live comfortable lives with allergies when they’re prescribed the most appropriate treatment, which may include dietary changes. If your dog has a problem with itching and it only happens at certain times of the year one effective over-the-counter remedy that can alleviate environmental allergies from pollen is an antihistamine like Benadryl. The dosage of Benadryl that doesn’t contain any other ingredients is in a children’s liquid form. The dosage is one milligram per pound of body weight. Check with your veterinarian before using an OTC antihistamine. Fish oil supplements are another home remedy to alleviate itching. A dog that weighs between 60 and 100 pounds can have approximately 2,000 milligrams of fish oil in their food once a day. A lot of dog owners choose natural remedies and herbal supplements to alleviate the symptoms of allergies in their dogs according to Natural Dog Health Remedies. Natural remedies are preferred by many pet parents because not only do they decrease itching and other symptoms, but they help to balance the dog’s immune system. A lot of holistic veterinarians don’t recommend using corticosteroids for extended periods because of the side effects that some pets experience. Prolonged use of these drugs can cause serious side effects in some dogs. The theory behind using natural remedies to alleviate allergy symptoms is that many dogs have an overactive immune system and herbal remedies balance the system naturally without causing adverse effects. If the dog is allergic weeds, or grass or tree pollen, an effective way to treat the symptoms is to start your dog on a regimen of natural supplements in February or March before allergy season is at its worst. Besides aiding the dog’s immune system by alleviating itching and scratching herbal remedies can also balance the dog’s immune system internally and aid in kidney and liver function. To help prevent itchy skin and excessive scratching, a pound of organic oat straw can be mixed in two quarts of water and added to the water your dog is bathing in. A few drops of lavender oil in bath water can help to stop itching. One of the ingredients in Aloe is a glycoprotein called acemannan which can relieve inflammation and itching. Dog shampoos with Aloe and colloidal oatmeal can be very effective. Dogs can get allergies that affect their eyes. If your dog has an unusual discharge seeping from its eyes or if the eyes start to have an unusual appearance, you should make an appointment with your vet. Most problems with dog’s eyes are the result of allergies and it’s usually an inhalant like pollen from weeds, grass, and trees, or dust, mildew, and mold. Allergies that affect dog’s eyes like pollen are seasonal, not year-round. Mold, mildew, and dust are present all-year so it’s essential to make sure your dog is getting the proper treatment. Your veterinarian can prescribe the best treatment. For inhalants, an air purifier may be recommended. The vet may also prescribe a topical ointment or oral medication to alleviate the symptoms. Follicular Conjunctivitis is a condition that dogs commonly develop when they have eye allergies and must be treated as soon as possible to avoid further infection. Skin allergies in dogs require an appointment with the vet to get the condition under control and avoid secondary infections. A lot of pet foods claim to be “all natural.” To determine if the food you buy is right for your dog, look at the first ingredient. If it’s a grain or meat by-product you should probably buy a different food. Just one ingredient in some foods is enough to cause an allergic reaction. Parasites that can burrow into a dog’s skin are lice, chiggers, and fleas. The allergies can be triggered by droppings or saliva from pests, but are easily treatable by your veterinarian. In addition to pollen, dust, mildew, and mold, environmental allergies can be triggered by extreme seasonal fluctuations in temperature, heating, or air conditioning systems. The types of allergies that can be transmitted quickly between pets and even pets and people are bacterial and fungal. The bacteria emit a vile odor and tend to be greasy looking. Veterinarians prescribe antibiotics or topical ointments to treat these allergies. Dogs can suffer from psychological conditions like humans do. Obsessive biting, chewing, or licking can be signs of a psychological disorder. The problem may be brought on if the dog doesn’t get enough attention, is bored, has separation anxiety, or feels stressed. If a dog has a skin allergy and psychological issues, medical treatment by a veterinarian and complementary therapy from an animal behaviorist may be necessary to bring about a solution to the problem. Benadryl is available over-the-counter in a variety of formulas. The one that should be given to dogs is the children’s formula which only contains one ingredient. The dosage is one milligram per pound. Chlortrimetron may be administered up to three times daily but isn’t quite as effective as some other medications. Consult your veterinarian for the correct dosage. Hydroxyzine-Altrax is a very small pill which makes it easy to give to dogs who have difficulty swallowing pills. 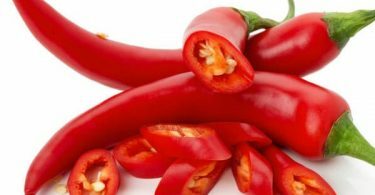 However, it should not be used for dogs with heart problems, glaucoma, high blood pressure, lung disease, or an enlarged prostate. Tavist can cause drowsiness but is very effective for dogs with itchy skin, especially when used with Omega-3 fatty acids. Tavist can be administered two times daily. According to studies by the Asthma and Allergy Foundation, some people don’t develop dog allergies until they’re older which can cause a problem if a dog is part of their family. However, there are medications that are effective. If you don’t already have a dog but want one as part of your family, you could spend time with a friend or someone in your family that has a dog. You could offer to pet sit or ask to have the dog stay at your house. After a day or two, you might be able to tell if you have any reaction. Going to an adoption event or volunteering in an animal shelter a few days a week is another way to get exposure to pets. Some people have allergic reactions to pets right away but with others, it could take several days for any reaction to begin. Everyone’s immune system isn’t the same. Symptoms of a pet allergy could manifest with coughing or sneezing, wheezing, breathing problems, or itchy, watery eyes. Asthma attacks happen occasionally but are a more common reaction with an allergy to cats. If you have any of these symptoms, it’s an indication that your immune system is reacting to an allergen. Beyond Wild Turkey and Lentil is an adult dog food with freeze-dried chicken as the main ingredient. Farm raised turkey from farms in the U.S. are another ingredient. The food is formulated to give your dog energy. The food is 31 percent protein and is nutritionally dense. There are no artificial ingredients, additives, or colors in the food. Beyond Wild is created without any meat or poultry by-products and no wheat, soy, or corn. Taste of the Wild Grain Free High Protein Natural Dry Dog Food is considered to be one of the best dry dog foods on the market for dogs with allergies. The first ingredient in this dry food is smoked salmon which helps to keep a dog’s muscles strong. The food is all-natural and contains vegetables, fruits, and fatty acids that provide antioxidants and keep your dog’s coat shiny and smooth. The probiotics in Taste of the Wild make digestion easier. Wellness Natural Ingredient Food contains limited ingredients that make it easy to digest and less likely to cause allergy or food intolerance symptoms than many commercial foods. The main ingredient is high-quality lamb with natural ingredients and carbohydrates to make it easy to digest while providing a balanced diet for your dog. A variety of treatments are available for dogs that suffer from allergies. Traditional veterinary medicine usually prescribes corticosteroids in the form of oral medications, topical ointments or salves, or steroid shots. Immunotherapy may be recommended. However, a lot of veterinarians only use immunotherapy when other methods haven’t alleviated the symptoms. Dog owners should know that it can take up to a year of immunotherapy to determine how effective it is. Additional therapy may include the use of bathing the dog in cool water and using colloidal oatmeal, medicated shampoos for dogs, or Epsom salts. Ointments or sprays that are designed to relieve itching may also be prescribed. A supplement that veterinarians have found to be effective in treating dog allergies is Omega-3 fatty acids that can help to reduce inflammation. If you choose to take your dog to a holistic veterinarian, different treatments may be prescribed. Holistic veterinarians usually prescribe treatments that work slower than corticosteroids like prescribing supplements and herbal remedies to strengthen the immune system and ease inflammation. Supplements and herbs can be used over a period of time to build up the dog’s immunity to allergens. If the dog is suffering and scratching constantly, mutilation or serious injuries could result. The veterinarian may prescribe a steroid cream for temporary relief until the inflammation and skin irritation begins to clear up, then switch to natural methods to keep the symptoms under control. If you suspect your dog may have allergies, schedule an appointment with your veterinarian who will examine the dog and run tests to determine what treatment is necessary. A lot of veterinarians and animal behaviorists have varying theories about how diet can affect dogs with allergies. Here are some things you should know. Holistic veterinarians recommend feeding an organic, natural diet with raw foods. The theory is that it’s close to what dogs ate in the wild before they were domesticated. A lot of commercial pet foods contain additives and chemicals that are harmful to pets. However, many traditional veterinarians question the merits of raw food diets. Discuss your dog’s diet with your veterinarian. Carbohydrates like rice, corn, and wheat don’t have nutritional value and are used as fillers in commercial pet food. They can also increase inflammation. To ensure your dog is getting the best treatment possible, discuss diet with your veterinarian. Keeping your dog’s diet as free from artificial ingredients and chemicals as possible will make them healthier, prevent stress on the internal organs, and strengthen the immune system.